Be mobile. Be heard. : Did You Forget Your Password? If you've forgotten your SendTree password these instructions will allow you to create a new one in a flash! Click here to be redirected to the password reset page, or start from SendTree's sign in page and click the forgot password? link. Enter the email you use to sign in to your SendTree account and click send recovery email. Option 1: Copy and paste the URL into your browser and enter your new password. Then select Set password. Option 2: Copy and paste the reset confirmation code into the URL provided and click confirm reset code. 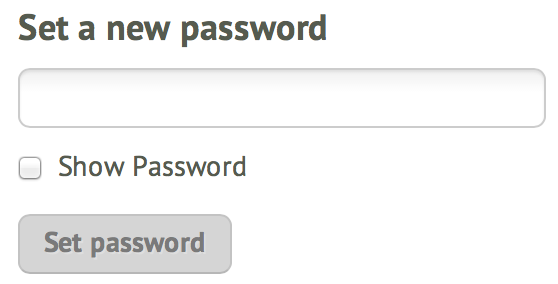 Enter your new password, then select Set password. After a moment you'll receive a reset confirmation message. Then you'll be redirected to your account page and you can continue work from there! Ta-da! You’ve successfully reset your password! Now you can start connecting with all the important people in your recipient list with important updates, news, and reminders!